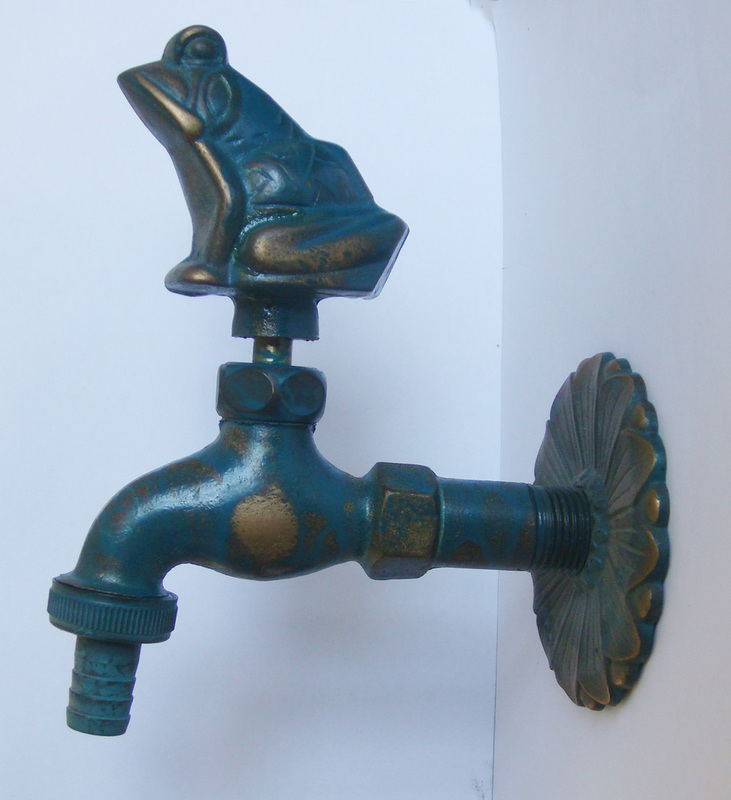 Each tap is made in brass with a verdigree finish. 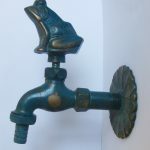 Each tap has an hosetail for connection to a hose although water pressure is by gravity only. 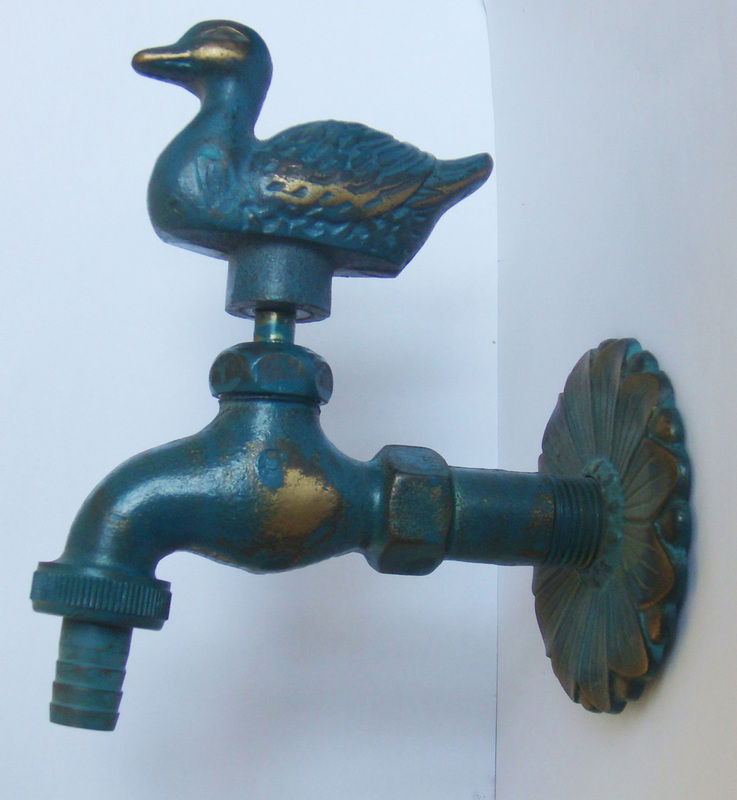 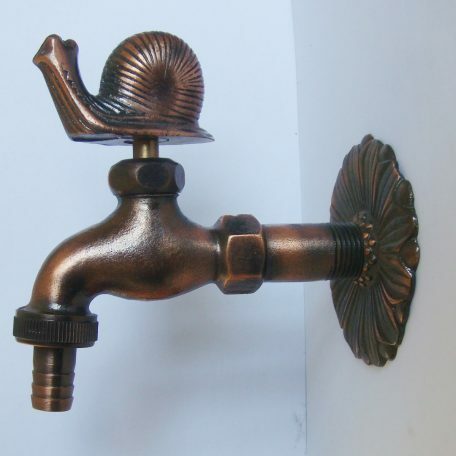 There is a choice of 3 taps, Frog, Duck or Snail. 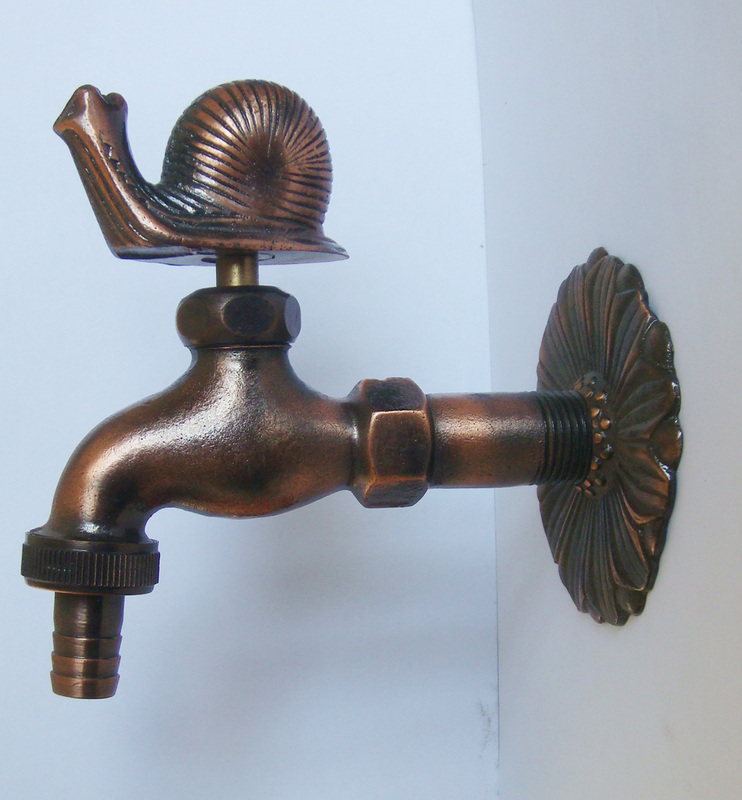 Each tap is made in brass with a verdigree finish. 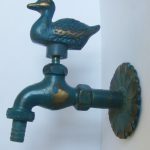 Each tap has an hosetail for connection to a hose although water pressure is by gravity only.